Three Bishops from Tennessee recently wrote the Governor to seek mercy for the 63 death row inmates of the state. Tennessee's last execution took place in 2009. This letter comes amidst a civil trial over Tennessee's lethal-injection protocol. It also comes just weeks before the scheduled execution of Billy Ray Irick on August 9th. 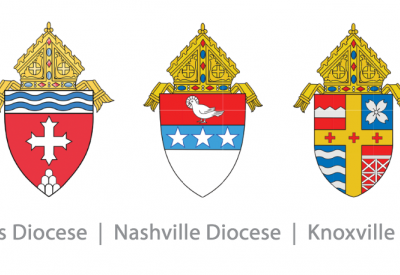 We, the three bishops of Tennessee, congratulate you on your successful administration and thank you for your leadership as your term as Governor nears in end. We also thank you for the gracious and attentive reception that you have given to us and our predecessors over the last eight years. We appreciate the regular opportunities that we have had to dialogue on many important public policy issues. In 2014, you may recall Bishops Stika, Choby, and Steib discussed with you their strong opposition to the state carrying out the death penalty. At that time, Bishop Stika shared with you the account of Pope John Paul II's (now Saint John Paul) role in commuting the death sentence of Missouri's Darrell Mease to life in prison during the papal visit to St. Louis in 1999. At that time, the pope called for the end to the death penalty as both cruel and unnecessary. He said that it is simply not necessary as the only means to protect society while still providing a just punishment for those who break civil laws. Rather than serving as a path to justice, the death penalty contributes to the growing disrespect for human life. Following that meeting in 2014, we provided at your request, written documentation about the Catholic Church's position on capital punishment and the foundations on which that teaching is based. We welcome anyquestion that you might have about our teaching, as we join with many other religious denominations in firm opposition to the execution of even those convicted of heinous crimes. We urge you to use your authority as governor to put an end to the fast-track executions planned for later this year. It is within your power to establish your legacy as a governor of Tennessee who did not preside over an execution on your watch. Please know that you remain in our prayers as you complete your term in office and look forward to your future service to the people of Tennessee.